As you all know, we’ve been remodeling and fixing up the land on this little ranch we bought. In May, we decided to buy some broken mouth cow/calf pairs, feed them for a few months, and then sell them. We figured the cows would be sold as canners, but the prices have been high, so putting some weight on them for resale seemed like a great option. If only plans turn out the way you want. The day we sold our cattle was the day the stock market crashed. As you may know, when the stock market crashes, the cattle market dives. The news hit a mere two hours before our cattle were sold. Buyers up and left. Contracts were pulled. We sold and it wasn’t what we were expecting. Our thoughts beat us up: We should have sold sooner. We are stupid. What were we thinking? Yet we know, this too is part of being in the cattle business. Really it could have been a lot worse. We’ll be okay, but it is disheartening when you pour yourself into something and it doesn’t work out. On the plus side, our cattle topped the sale..both cows and calves. They weren’t what they were a few months ago. Life is a process of learning and this is no different. We’ve done well many other times. We’ll do well again. After all, agriculture motivates our hearts. 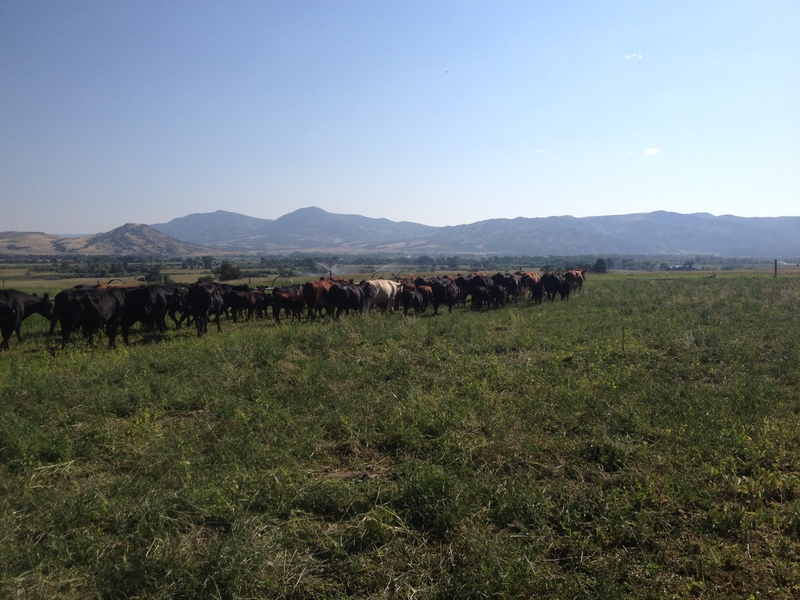 This is a dip in the road that we’ll come out of…it’s part of being a rancher. We still wouldn’t trade it for anything.